This cake was the trifecta of cake decorating for me. 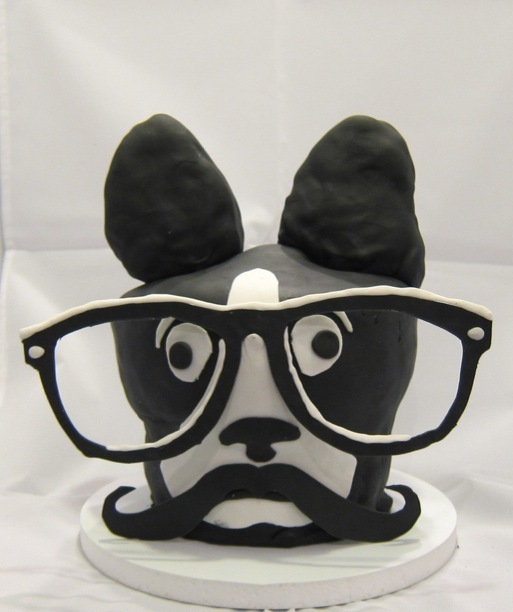 I wanted to make a sculpted cake (specifically a dog), I wanted to make a mustache cake and I wanted to make a hipster cake. Bam! All three. The design is called “Boston Intellectual” and you can buy a cardigan with this lovely fellow embroidered into it here. 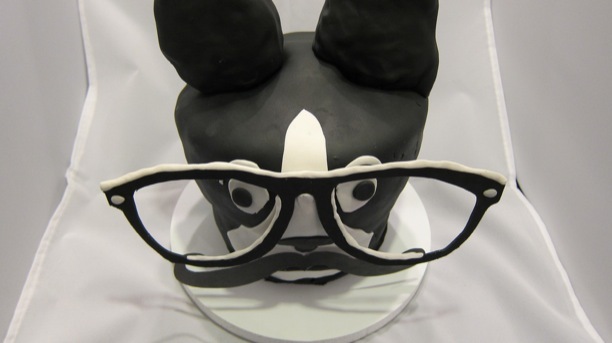 The hardest part of this cake was definitely the glasses and the mustache. Getting them to defy gravity was very hard. What I discovered is that the thinner I made the gum paste, the better off I’d be. 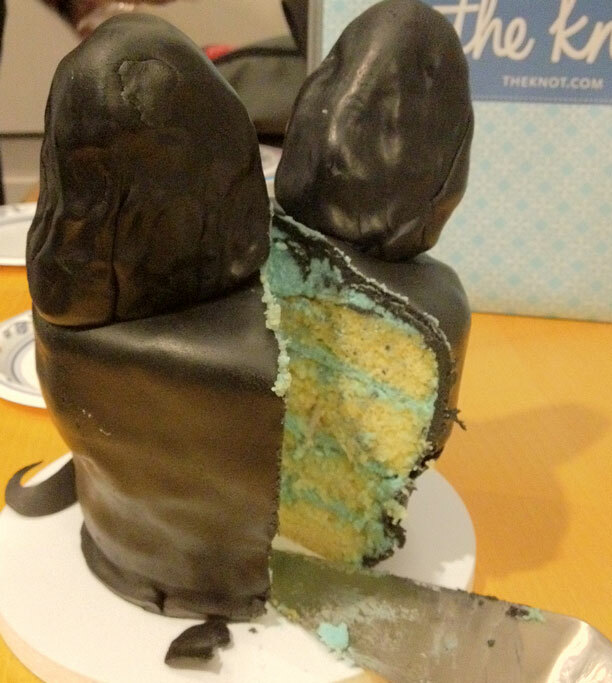 Even though it could break easier, the weight wouldn’t pull it off the cake. So I used my pasta roller to get the gum paste to a nice, thin consistency. I loved making this cake. It was such a fun design and fairly straightforward to execute. 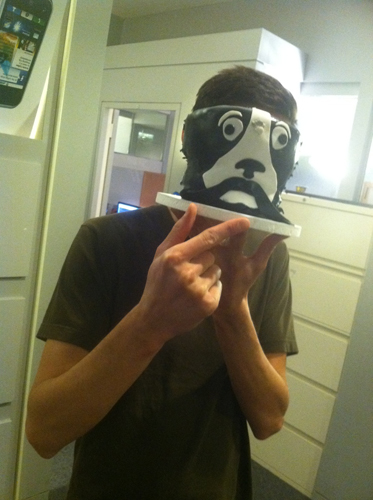 I made the head out of 2 round cakes, one 8 inch and one 6 inch. I made the ears out of rice cereal treats on toothpicks and the glasses and mustache is gum paste. All other details are fondant. I put plastic drinking straws down the center so the cake could hold it’s own weight. 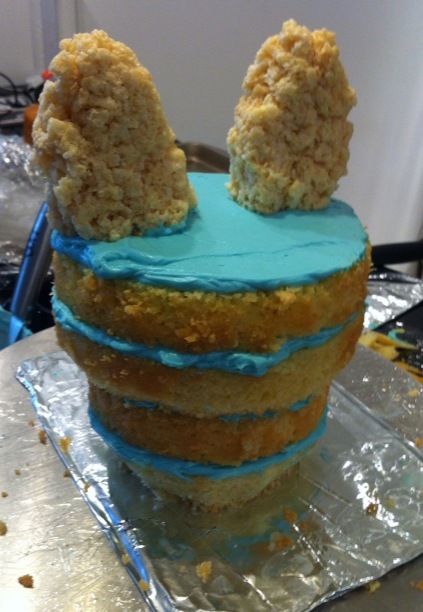 The cake is vanilla butter cake topped with blue vanilla icing. I had some blue icing left over from another cake. Waste not want not. I have a ton more pictures but I will put them up on my flickr page. 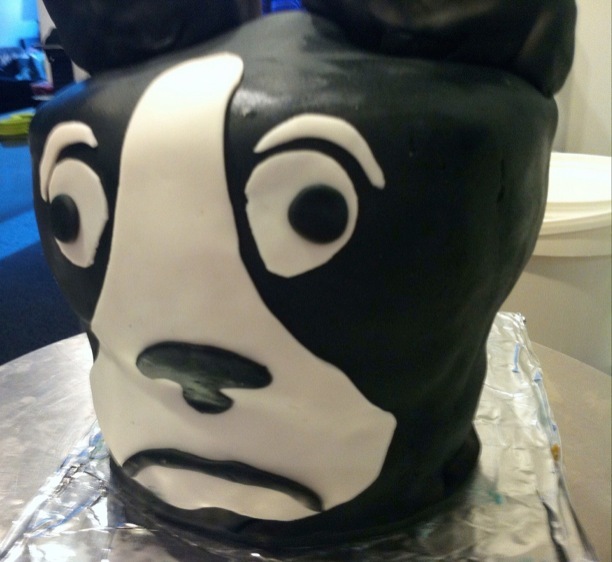 This is the cake I decided to actually submit to the contest. You can see my entry here. I brought the cake into my office for my coworkers to enjoy. They had a lot of fun with the cake.